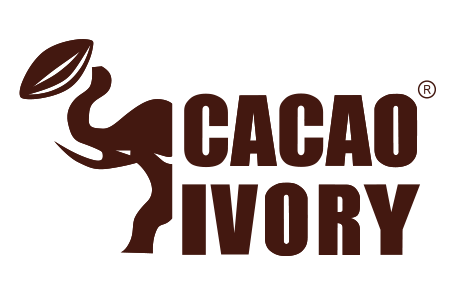 With Cacao Ivory you can be assured that your creations are one step closer to reality. Our chocolate helps you concentrate on what matters, producing the greatest flavours imaginable. Chefri is a solid vegetable frying oil that is temperature stable offering excellent performance and value. Excellent taste characteristic make Chefri a perfect partner in today's busy kitchen. Is one of Australia's great heritage brands, was established in 1895. Its quality has made it the number one vinegar brand in Australia today. Naturally fermented from the finest quality ingredients, all Cornwell's vinegars are completely free from sulphur dioxide and other preservatives. Country Life Bakery draws on years of experience in gluten free baking, and we pride ourselves on delivering great tasting bread the whole family can enjoy. The range includes White, Low GI White, Multigrain, as well as Yeast Free, Gluten Free & Wheat Free White. Crisco's range of vegetable oils gets ticks all round. Crisco oils are extremely versatile and they have longer fry life than conventional oils, giving you a better cost per serve. What's more, every Crisco oil comes in a 15L bag-in-box option. A brand, which offers the best balance of quality and price. ETA is backed by years of experience, a true Aussie legend. Fortune presents you authentic Fragrant Jasmine Rice cultivated in the North East of Thailand and Biryani Special Basmati Rice grown in the Himalayan foot hills of India. Fortune invites you to experience the authenticity, taste and great quality for yourself with these extra long and aromatic grains of rice. Fry Rite is a versatile product that offers excellent value for money in baking and kitchen applications. It is ideal for deep frying, with low foam formation to aid in extended frying performance. Fryall Solid Oil is a value for money tallow based frying medium that has excellent stability and tolerance to high temperatures. Fryall offers excellent frying life, performance and economy of use. Gold choice is a heavy duty frying oil. Gold Cup is a quality-frying medium that offers excellent cook through qualities of fried foods. With its high smoke point, the stability of Gold Cup allows it to be the multi purpose frying oil. Gold 'n' Canola is a natural source of omega 3 and contains premium Australian Canola Seeds. Golden Award is a full flavored margarine that offers versatility and economy for a broad range of culinary applications such as soups, sauces, baking and sautéing. It is ideal for sandwich spreads and other applications. Goodman Fielder Ingredients sources ingredients both locally and from around the world, ensuring the highest quality and continuity of supply. We are accredited to BRC Agents and Brokers. Helga's bakes premium European inspired breads with contemporary Australian tastes in mind. Helga's is made with passion and creativity to be savoured by the senses. Products extend across traditional bread loaves flavours include wholemeal, white, mixed grain, wholemeal grain, light rye, soy and linseed, pumpkin seed & Grain and Quinoa & Flaxseed. A tasty premium quality sauce in the great Holbrooks tradition. Kernol No. 4 is a 100% cottonseed oil, which offers long life and great performance. With excellent cook through qualities and exceptional drain off. La Famiglia is a leading Australian frozen bread brand with a core business in garlic bread. The home-style breads are made to authentic Italian recipes with fresh, quality ingredients including fresh crushed garlic, fresh margarine and herbs such as parsley. Lawson's Traditional Bread is baked in the spirit and traditions of country Australia, where bread took time, was generous in size and full of abundant goodness. Starting with nature's simplest ingredients (and absolutely no artificial colours or preservatives), every Lawson's loaf is made from natural seeds and grains and baked in a wide tin for extra-thick, generous slices. Meadow Lea offers a broad range of applications where flavour and health are paramount. The perfect partners in the preparation of quality foods. Meizan is an imported oils range offering great value for money. Available in a range of drum, jerry can and bag-in-box pack formats. Three of Australia's most trusted bakers - Buttercup, Country Bake and Sunicrust Bakeries - came together to create the Mighty Soft bakery range. Together these bakers combine over 150 years of baking expertise to ensures that Mighty Soft is always mighty soft. Mighty Soft offers a range of flavours and extends across traditional sandwich loaves, rolls, fruit bread, muffins, crumpets and pikelets. Molenberg is a maker of soft grain bread. The baking principles are strict but simple. All the bread is made with a natural whole grain and seed mix that has been carefully soaked to make the loaves light and soft. A versatile table margarine that offers great value. Neptune Palm Olein is an imported deep frying vegetable oil. Perfect Pastry every time. Whether baking a traditional pie or a delicate dessert and delicious golden, flakery pastry is what you need, your best choice is Pampas. As Australia's leading pastry brand since 1934 you can have confidence that Pampas will give you perfect pastry time and time again. Since 1909 PILOT has been supplying bakers with premium quality bakery fats. The key to this achievement is quite simply the passion that PILOT has to deliver "Proven Perfection" for our customers. The PILOT range includes Bakery Margarines and Shortenings for all baking applications including biscuits, cakes, pastries, donuts, creams and pan releases. Brand used in Australia under licence. Praise is synonymous with quality and flavour and provides a range of creamy and healthier mayonnaises. Profry is a specially formulated premium tallow oleo, perfect for deep frying. Our Quality Bakers brand simply delivers better bread. With 100 years of baking experience, and products across categories like fresh, simply thaw & serve, and simply bake, QBA delivers on every foodservice bread requirement you have. Red Band offers maximum economy and versatility. Red Band has an excellent drain off and palate feel leaving no undesired taste. Long life and high stability makes Red Band ideal for any kitchen. Simply oils are imported oils with a range including Canola, Sunflower, Rice Bran, Vegetable and Cottonseed. White Wings provides a range of high quality pre-mixed products. An Australian iconic brand that has become synonymous with quality since 1958. With White Wings - you've got it made. Wonder bread range is packed FULL of a blend of fibres to give your family the goodness in the deliciously soft texture they love. The natural WonderFibre™ blend is the secret behind Wonder White's natural high fibre flour, milled from specially grown corn, oats and soy. This is why Wonder White bread so soft, full of fibre and provides great tasting goodness. Zena is a perfect partner in fine Mediterranean Cuisine offering excellent flavour carrying properties to enhance traditional taste.